The attic has an acroterion consisting of twin recumbent consoles with a scallop shell added in Soane's hand. 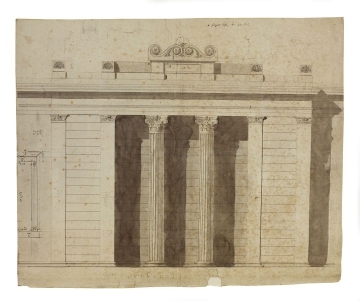 The note suggests altering the supporting plinth to 'omit panel' ornament. 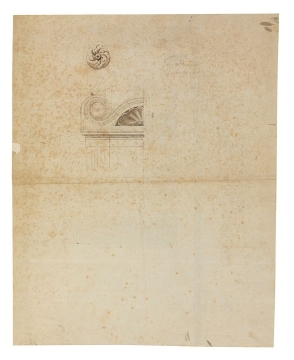 The verso is a working drawing showing the proportions of the scrolled acroterions that surmounted the built screen wall (rather than the twin recumbent consoles shown on the recto).